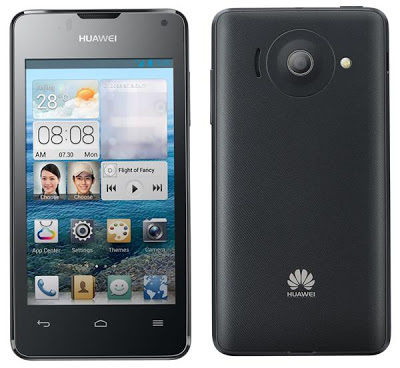 Huawei has just released their most appealing handset to date - Ascend Y300. It's a 4-inch dual core device that runs with Android Jelly Bean (underneath the Emotion UI) with a Php 5490 pricetag. Apart from these sough after features, its WVGA IPS display is also treated with Corning Gorilla Glass. Likewise, its 512MB of RAM will keep things smooth enough for you to multitask, and with the fact that it rates with 1730 mAh battery life, it will keep you on the go for a considerable amount of time. Other specs include the standard 4GB internal storage with expandability option up to 32GB and 5MP rear camera (VGA front-facing). Yes, the specs is somewhat like the CM Flare but Ascend Y300 offers more competitive specs like the Gorilla Glass, extra battery rating and Jelly Bean would compensate the Php 1490 difference. So are you interested?